Self-publishing is not for everybody. It can be a recipe for disaster if you don’t have the right ingredients. Self-publishing mistakes like formatting errors can signal a lack of professionalism. And typos may turn a book reader off on the first page (as one rising author told me why she would never consider self-publishing). Self-publishing is achievable when the author decides to take on the role of the publisher at their expense and risk. With the advent of readily available self-publishing tools and distribution channels like Kindle Direct Publishing (KDP), many aspiring authors have the potential just to get it done on their own. 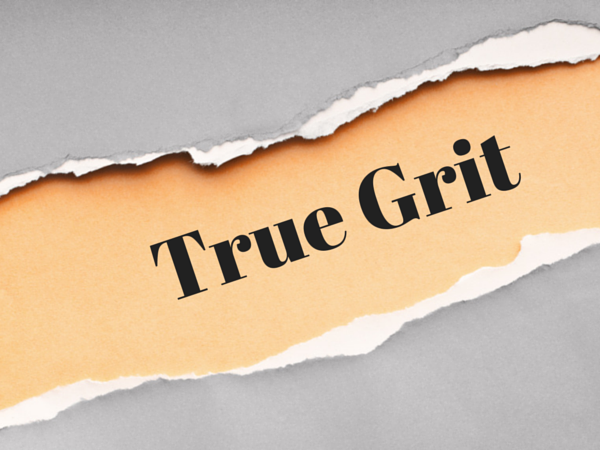 Does the true grit of self-publishing lie within your capabilities? Ask yourself whether you have these strengths and how you may be better prepared to self publish. Commitment. Self-publishing is a big decision, and some people may not feel comfortable taking on the task. I committed to self-publishing about half way through the writing of my first book. Once I made the decision to self-publish, this took the pressure off of selling the manuscript to a publisher, and so I could focus my energy on writing. When I finished writing, I committed to hiring an editor. Mostly I needed to obtain an objective point of view, and having an editor enabled me to take the time to gather publishing details. Editing is part of writing and rewriting, as well as publishing. Talk with your editor and review the commitments you are willing to make and then commit 100 percent towards those results, no matter what it takes. Publishing Skills. Do you have the publishing skills to set up a book format? You can hire someone to do the book formatting if you have the budget. There is a market of book designers who can help you. Or you can take on the formatting task yourself if you can focus on the professional side of publishing and have the time to do it yourself. Publishing is a skill not to think lightly. In my professional career as a corporate writer/editor over the years, often I have had the responsibility for publishing. It takes patience and an eye for detail to work out elements of the format, layout, and style. You can acquire publishing skills. Ample resources for self-publishing are within reach. I found an outstanding resource, Joel Friedlander’s Book Design Templates. A ready-made template will enable you to drop the manuscript into it. You will then have to work out the remaining publishing nuances, including table of contents. Also within reach are resources and step-by-step guides from your distribution channel/online retailer. Marketing. Do you have the marketing know-how and the time to promote your book? I believe some authors don’t feel confident in marketing their work. In a published interview with the famous mystery author, James Patterson, said, “All marketing can do is communicate there’s a new book, and what kind of book it is.” In my humble opinion, he is talking about established authors with a larger readership. As a new author, you may have a great first book or it may take several great books to establish a readership. Book marketing requires setting goals and taking action everyday toward fulfillment of these goals. Traditional forms of book marketing include book signings, book reviews, speaking engagements, and advertising. The contemporary self-publisher might establish a platform for engaging with readers through email lists and newsletters, social networking and fan pages, and blogging from your website. Once again, there are resources to help you, including PR agents and book marketers. Goodreads is an online reading platform for readers to engage in sharing and discussing books. Through Goodreads author program, you can engage with readers, whether you’re a self-publisher or under contract with a publisher. As you can see, self-publishing isn’t for everybody. Many authors with traditional publisher contracts take the self-publishing route for eBooks to obtain higher royalties. For new authors, self-publishing can be a rewarding experience. Decide what parts of the self-publishing process you can accomplish. The most important element of self-publishing is the writing. There is no substitute for good writing. A good editor can help you. So make it the best book you can, and get help to fine-tune and self-publish your book through readily available resources. You may contact me with any questions or reply in the comments.